Ah, summer vacation. Long days, sleeping in, and the luxury of doing whatever you want. But it doesn’t seem to work that way for young children, does it? It may take only a few days after school’s out for them to get cranky. “I’m bored!” “There’s nothing to do!” Or, they just start pummeling each other until somebody needs a trip to the emergency room. DO NOT PANIC! A little “boredom” is really good for kids. What’s actually happening is that at this moment, they aren’t being told what to do by anyone – a rare experience for many kids these days. So don’t scold them for complaining, and don’t rush to entertain them. Just gently introduce some ideas and give them some time and space to figure it out. Ask questions. How do you feel? Do you feel like playing outside or inside? Do you want to make something? Would you like me to make some suggestions? Try to help her articulate her feelings without expecting that you’ll be able to solve her “problem” (that you know isn’t a problem at all). Then enjoy the conversation that follows! Provide open-ended toys. 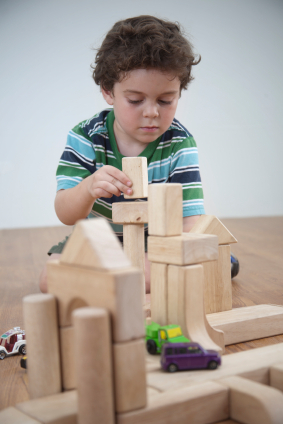 These include things like wooden blocks, play kitchens, animal figures, puppet theaters and puppets, blank drawing paper and crayons, and vehicles. Give general ideas by asking questions, for example: Could you make up a story with these puppets? What colors would you like to see on the paper? What could you build with the blocks? Then leave him alone for awhile. Raid your closet. We all have some clothes that we think we’ll wear again someday. Donate them to the kids’ dress-up box and see what happens next! Scarves, hats, dresses, suits – your kids will get way more use out of these than you will. 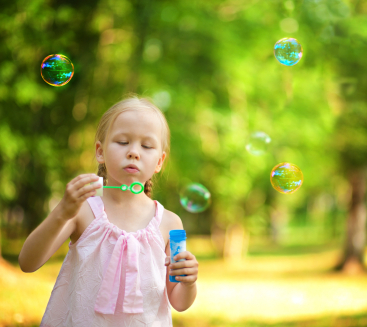 All kids like to “try on” new personalities, so don’t worry about gender-switching clothing or roles; this is a normal developmental stage for most kids and you’ll be wasting your worrying energy. Get their help in the kitchen. Messy? Sure! But there is so much to learn in the kitchen – not just math and chemistry, but proportion, estimation, nutrition, cause and effect, following instructions, delayed gratification, and pre-reading skills are all part of the cooking experience. Try something relatively complicated, like making pasta from scratch or making your own cheese or yogurt. 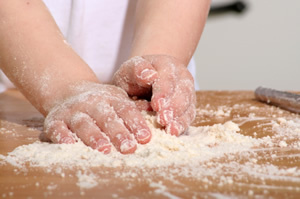 Read on for more tips on cooking with kids! Plant something. Even with limited space, most families can manage a pot on a windowsill or on the patio. Try some cherry tomatoes, zucchini, or other easy-to-grow vegetables or herbs. Then it can be your child’s task each day to check the soil and water if necessary. When the time is right, harvest and enjoy! Create a collection. Ask your child: Can you find ten different kinds of leaves outside? Five different colored rocks? Can you listen for six different sounds? When she has her collection (and maybe it’s different from what you asked her to find), help her find a way to display them. Ask her to say a few things about her experience, and make a short video or write down what she says. Sometimes, your kid just wants you. Saying “I’m bored” may be his cue to you that he just needs a little one-on-one time. This isn’t necessarily a sign of a needy or whiny child, so try to see past the words and into his world for a moment. If he’s a little lonely, or needing some connection, give him the gift of your time and share a book, puzzle, or take a walk together. It’ll take most kids some time to discover what they like to do when there’s “nothing to do.” You can help by trusting that they’ll be able to figure something out on their own. It’s also healthy for kids to know that Mom and Dad really enjoy spending time with them, so make sure they get some of your undivided attention each day. Then step back and wait! For more ideas for kids activities as well as coupons and some great deals, sign up for our email newsletter!